Today we take more photographs than at any point in history. And although some of us have stayed true to carrying around physical cameras, most photography these days is done through smartphones, whether it’s an artistic Instagram image or a simple screenshot helping us remember something important. The question is what do we do with all these photos after we take them? We’re definitely going to retouch some of them right in the smartphone to quickly share on Instagram or Facebook. But most likely the majority will somehow find their way on our Macs and await their fate over there. How do you transfer photos from your iPhone to your Mac? There are a few popular ways to do that. Some are old and proven, and some are conceptually new. First of all, you can connect your iPhone to your Mac through USB and import all the pictures using the default Photos app (previously known as iPhoto). Alternatively, you can use a few third-party cloud services, such as Google Drive or Dropbox to upload your photos from the phone to the cloud first and then download them to your Mac through the cloud. Finally, Apple offers their own iCloud Photo Library, which is arguably superior in how seamlessly it connects iPhone to Mac and in addition saves all the content on its own cloud automatically, providing you with all pictures on all devices and a safe backup. Besides, iCloud Photos can also be accessed online and features a few paid tiers for storage vs. only one for Google Drive and Dropbox. 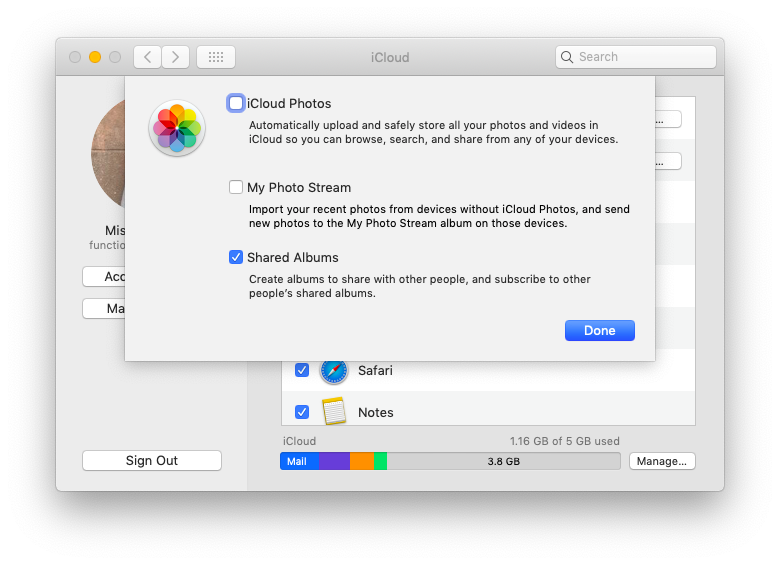 What Is iCloud Photo Storage? Simply put, iCloud Photo Storage keeps all photos, videos, their edits and albums in sync with all your Apple devices. It has been part of iCloud since the release of OS X Yosemite in 2014.
iCloud itself is Apple’s cloud computing service that first appeared in 2011, replacing its predecessor MobileMe. 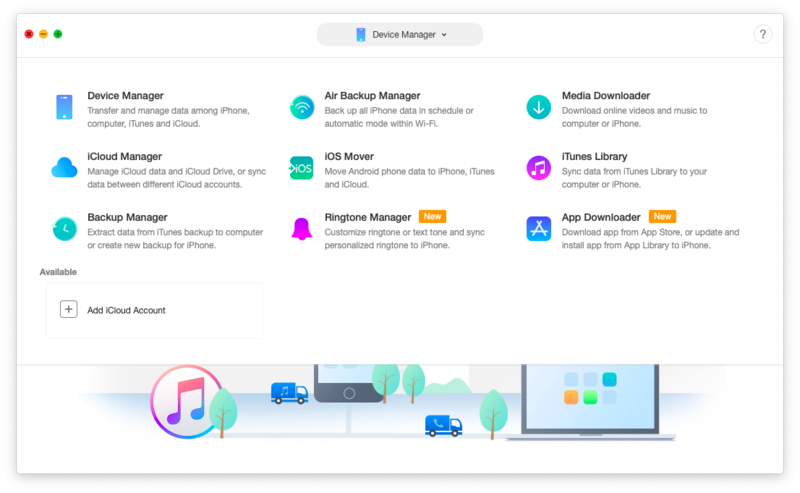 If you use any of Apple’s default applications, such as Calendar, Mail, Notes, or Reminders, they all sync with your other devices through iCloud. In fact, lots of third-party apps use iCloud to sync their information as well. Once configured, iCloud Photos is very easy to use. It does, however, need a bit of a guide to properly set up. Now, when your iPhone finishes syncing with the cloud, all the photos will be downloaded to other active devices too. Sometimes you don’t want to sync your iCloud storage with any other devices besides your phone but still need to access photos from your computer (or anyone else’s). No problem — iCloud Photo Sharing supports browser view. iCloud Photos gives you nearly the full functionality of the Photos app on your Mac. How to download all photos from iCloud? Simply select them all and click download. There’s even more functionality built into the iCloud photo library: you can share photos via email or link, create new albums, organize Moments, etc. All the icons that allow you to do that are situated in the iCloud photos top bar. Perhaps the worst things about iCloud storage is that the free tier gives you only 5 GB of space. Besides photos and videos, that includes your complete phone backup and all other app synchronizations. Today, when we casually take 10 or more photos of the same scene at a time, 5 GB is almost nothing. Although, if we would be disciplined enough to trim all the useless images and keep the good ones, 5 GB might be just fine. Gemini is an essential utility that does just that — finds duplicate and similar photos anywhere on your Mac and deletes them with ease. It’s the answer to the torrent of similar-looking images. With Gemini, you can continue taking as many pictures as needed, knowing that the algorithm will quickly find the best one and discard the rest. Once Gemini completes the scan, it will suggest all the photos you could delete: just review them all and click Remove. If you’ve just only thought about removing duplicates on your phone right now for the first time, it’s entirely likely that you have more than 5 GB of images already, so iCloud photo storage won’t be an option at the moment, as it won’t sync all the photos to Mac for you to even delete the duplicates using Gemini. In this case you need another reliable way to sync photos or other information from your phone to your Mac. iTunes does give you a very limited ability to do that through a USB cable. But is there a better way? AnyTrans is a completely customizable transfer manager for your iPhone and Mac. It lets you export music, contacts, backups, and most importantly photos via WiFi, thus completely bypassing iCloud storage restrictions. When all your media is downloaded to your Mac, launch Gemini and clean up all the duplicates. You might think, “what about my iCloud?” Of course! Import all the resulting images into Photos on your Mac and it will automatically sign into iCloud and have it there as a backup, syncing back to your iPhone at the same time. That’s how selectively using AnyTrans and Gemini can help you avoid the 5 GB trap imposed by iCloud photo storage and simultaneously only keep memories that are truly meaningful. Best of all, both AnyTrans and Gemini are available on Setapp, a platform of more than 130 Mac apps and utilities that you can use daily to improve all aspects of interacting with your Mac. Now that you know how you can cheat iCloud photos, snap as many shots as your heart desires!